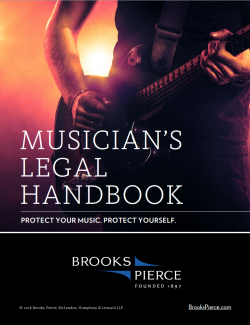 The Musician’s Legal Handbook is a resource for musicians, songwriters, producers, managers, agents, and others in the music industry. The Handbook also includes a sample “Work-For-Hire” Agreement. A passcode is is required to access the Musician’s Legal Handbook.